A PROPOSAL seeking extension of IPS officer Shambhu Nath Singh as chief of security in the Maharatna PSU Oil and Natural Gas Corporation (ONGC) has been turned down by the Appointments Committee of Cabinet (ACC). ACC has declined the proposal for extension of central deputation tenure of Singh, a 1986 batch IPS officer of Manipur-Tripura cadre, Executive Director (Security), ONGC, an order issued by department of personnel and training said. since 2010, was entrusted with reviewing and strengthening the security of all ONGC installations, assets and personnel belonging to its overseas arm - ONGC Videsh Limited (OVL) - besides Mangalore Refinery and Petrochemical Limited (MRPL), among others. The NDA government has been refusing to extend the tenures of some of the top PSU chiefs. Earlier, the NDA government had decided to replace Arup Roy Choudhury, chairman of NTPC, making him the second PSU head who has not been allowed to continue till retirement after completing a five-year term. Earlier on June 11, the government had denied extension to CS Verma as head of Maharatna PSU Steel Authority of India Limited (SAIL). Verma was appointed by the then UPA government in June 2010 and would have attained retirement age of 60 in September 2019. Roy Choudhury would complete his five-year term on August 31. He is due to retire in December 2016. 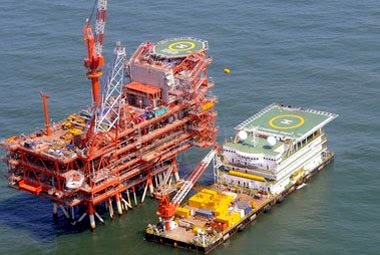 In May 2006, the UPA government had denied extension to Subir Raha, who played a key role in transforming ONGC into a flagship energy firm. PSU heads and directors are appointed for a period of five years or till the age of superannuation, whichever is earlier. If a candidate has some years left till superannuation, the government has the discretion to extend the tenure. Now, all eyes are on B.C. Tripathi, chairman of another Maharatna gas utility GAIL. Tripathi was earlier granted a second five-year term in July 2014. But according to government rules, any appointment to a PSU board for over three years has to be re-confirmed after one year from taking charge. But the government rules allow an additional month for taking a final decision.